Dr. Kristine Uramoto, Rheumatologist and Melaca Cannella, RN have been approved to start a one year pilot study. The Sjögren’s Syndrome and Lupus data collection project in Hawaii will assist in recognizing the most common signs and symptoms of those living with both autoimmune diseases, help us to understand other symptoms that might occur as well as learn about other important information related to Sjögren’s Syndrome and Lupus. This study will help to fill gaps in Hawaii related to both diseases and help physicians, health professionals, our communities, those living with Sjögren’s syndrome and Lupus, families and friends better understand these autoimmune diseases. The impact it will have on future clinical practice will provide much needed information about ethnic backgrounds and help our physicians and health professionals in our communities focus on the areas of education needed to help prevent and decrease further disease process and organ involvement. The foundation hopes to become more involved in health related community events, a 2017 Patient Conference is scheduled for April 28, 2017. Our goal for the conference will be to help provide some much needed education in our communities! Providing literature for physicians, health professionals and those living with Sjögren’s syndrome and lupus in various forms throughout Hawaii is what we are hoping to achieve as part of our mission. Some future projects include a yearly walk to help raise awareness in our communities and educational fun days for the kids living with both autoimmune diseases. Making connections and partnering with other foundations, organizations and projects in our communities are in the works moving forward this year and continuing into the future. 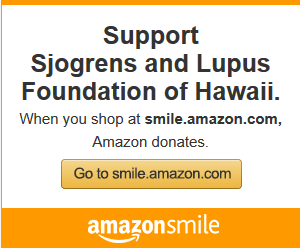 Making a donation to the Sjögren’s and Lupus Foundation of Hawaii will help support our physicians, health professionals and those living with both autoimmune diseases in Hawaii! The benefits will be statewide and help make a difference in many lives every day. To make a donation, become a sponsor or vendor for the patient conference or support the Bowling For Awareness Fundraiser on June 10, 2017 please visit the home page or contact [email protected]. Mahalo for your support and interest!